Follow along live from court below. 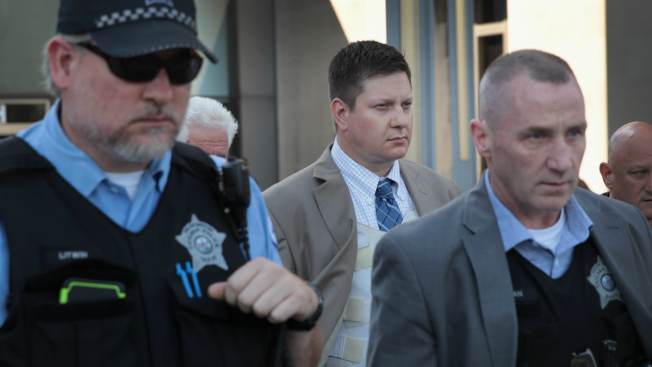 With large questions still weighing heavily on the case, the jury selection process continued Monday in the trial for Chicago Police Officer Jason Van Dyke, the officer accused of killing Laquan McDonald in 2014. Marking the start of what could be a days-long process, attorneys on both sides questioned prospective jurors in an attempt to weed out potential bias. Judge Vincent Gaughan will also question each juror in one-on-one interviews behind closed doors. 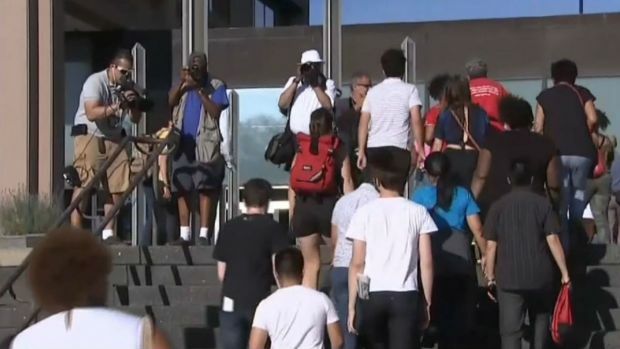 The large pool of 200 potential jurors filled out questionnaires the previous week ahead of a hearing that saw the case shift to questions over Van Dyke's bail. In the hearing Thursday, Gaughan ruled Van Dyke violated the terms of his bail by giving media interviews the week before the trial began. His bail was raised by $2,000. This won't be a typical jury selection process as the larger-than-usual pool of potential jurors faces heightened scrutiny. Gaughan has not yet ruled on motions filed by Van Dyke's defense team aiming to move the trial outside of Cook County due to extensive news coverage of the shooting, a topic potential jurors will likely be questioned on. The judge said he would rule on that once questioning of potential jurors is underway. Should the trial stay in Cook County, jury selection was expected to take a week or longer. In addition, the defense team has also not yet announced if they plan to seek a jury trial or leave the decision in Gaughan's hands. Van Dyke is charged with murder in the shooting death of 17-year-old McDonald nearly four years ago. Dashcam video of McDonald's shooting was released in December 2015, sparking widespread protests that have continued at Van Dyke's court hearings as the trial began. 8:40 a.m.: A small group of protesters has gathered outside the courthouse. The group of nearly a dozen people appeared with a sign that read "Convict Van Dyke The Whole System is Guilty." 9:59 a.m.: Jury selection in Jason Van Dyke trial is officially underway. First potential juror, a female, was questioned for 12 minutes. 10:50 a.m.: First juror has been seated in Jason Van Dyke trial. A Hispanic female, stay-at-home mother with three children under 10 years old. Says she can give Van Dyke a fair trial. On her questionnaire she said she respects police and they are just doing their job. 12:45 p.m.: A second juror has been seated in the Jason Van Dyke trial. She’s a young white female. She says she believes someone is innocent until proven guilty. 12:55 p.m.: The two women who were seated in the first session of jury selection were officially sworn in and told not to watch media coverage of the trial. 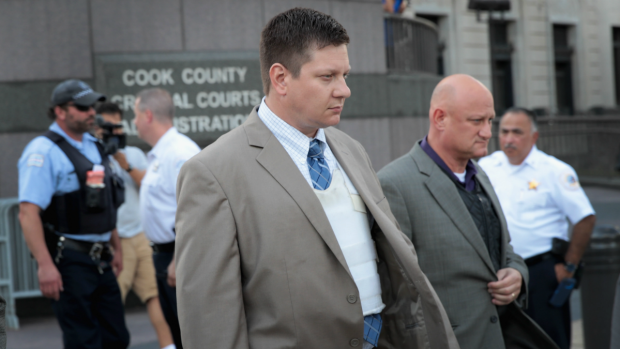 3:30 p.m.: Two more jurors have been seated in Jason Van Dyke trial. A young Asian male who works as a financial analyst. The other, a white man, who says he is gay and told the judge "I know there is a video, but I have not seen it." So right now there are four jurors- two females and two males. 5:23 p.m.: A total of 5 jurors were seated in day one of jury selection for Jason Van Dyke trial. 2 males and 3 females. Final woman selected is white.